White Spots On Your Nails...? Here is What They Indicate! World White Spots On Your Nails…? Here is What They Indicate! Have you ever had your fingers get hit by something and later you find these weird white spots coming out of your nail bed? That’s normal; but if you see them often or if they don’t go away like they should, you could be dealing with something very serious. If there are some white streaks spread om your nails, you’re missing some zinc in your life, and if the white streaks extend horizontally up to your nail bed it means you need some protein. White spots on the toes means you’re plagued by a fungus, psoriasis or even eczema. Get it checked out! 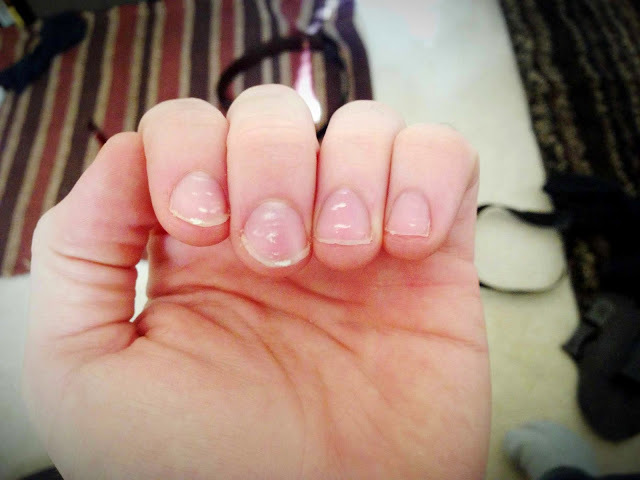 Any spots in your nails could be a sign of things like cirrhosis of the liver, or even hepatitis. Always check whats in the nail products you use, because you could simply be allergic to something in them. Make sure to Like Us on facebook to see more amazing stories like this.